I've been wanting to do this for awhile - just me, my guitar and you guys, in local theatres across Canada. Back to basics. 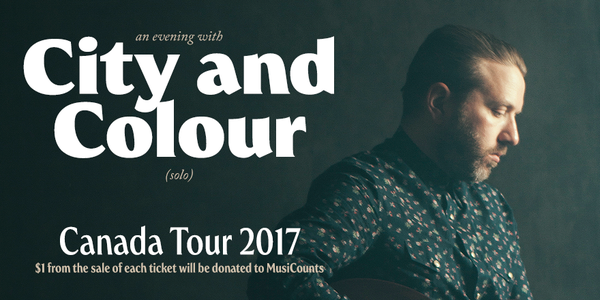 $1 from each ticket sold, will be donated to MusiCounts. Tickets go on sale Friday February 3 at 12pm (local time) in all markets with the exception of Banff, AB where tickets go on sale Saturday February 4 at 12pm (local time). Visit the TOUR tab for ticket links.